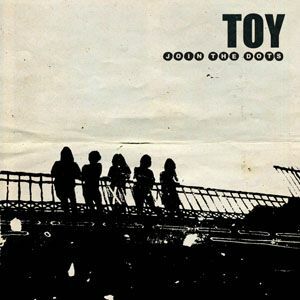 TOY was formed in 2010 in Brighton by former The Jing Jang Jong band members Tom Dougall (singer/ guitarist), Dominic O’Dair (guitar) and Maxim Barron (bass) and their friends, Charlie Salvidge (drums) and Alejandra Diez (keyboards). Wikipedia describes their music as indie-rock/ psychedelic rock. If that means they sound something like a mix between The Beach Boys and New Order, then I agree. It’s easy to notice the band’s link with the Brighton coast in their wind chime lullabies. Join the Dots would be ideal heard drifting to you on a warm summer breeze during a relaxing day at the beach. It’s not just the sea which inspires such warm thoughts in winter, though. There has been a revival of Beach Boys-esque harmonies on the US west coast which seems to have blown over the breadth of America and the Atlantic to moor on the English south coast. Join the Dots isn’t at all gimmicky, however. It has a retro sound – in a good way. And you certainly get your money’s worth - the album lasts a total one hour, one minute. No song lasts under four minutes which adds to the relaxed feeling, TOY are in no rush. 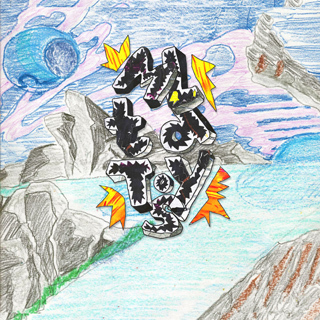 It's refreshing to experience a more laid-back approach to alternative rock music than the two-minute quickies of recent times.